Everyday activities like shopping for groceries burn calories, just like standard exercises. A one-hour shopping trip includes activities such as pushing your cart through the aisles, loading the groceries into your car and putting them away once you arrive home. 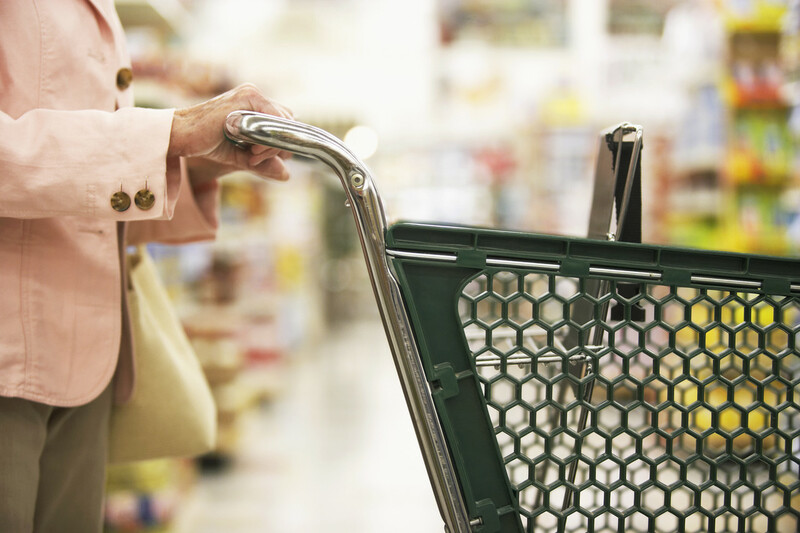 Whether you burn more calories grocery shopping than walking depends on your speed. You arrive at the grocery store and spend 45 minutes pushing your cart up and down the aisles, temporarily pausing to place an item into your cart: that alone burns 105 calories in a 130-pound person, and even more — 146 calories in 45 minutes — in a 180-pound person. Spend five minutes loading the groceries into your car after checking out and you’ll burn another 16 calories if you weigh 130 pounds; up that to another 22 calories if you weigh 180 pounds. Take 10 minutes to unpack your groceries and put them away in your pantry once you arrive home and burn another 26 calories if you’re 130 pounds, or another 36 if you’re 180 pounds. In all, a 130-pound person burns 147 in a one-hour shopping trip; a 180-pound person burns 204 calories. A one-hour trip to the grocery store burns more calories than a leisurely walk. Walking at a a slow pace — less than 2 mph — for an hour burns 118 calories if you weigh 130 pounds and 163 calories if you weigh 180 pounds. You’d have to up your speed to 2 mph for your hour-long walk to burn the same number of calories as your hour-long trip to the grocery store. Increase your walking speed to 2.5 mph and you’ll start burning more calories than you did during your one-hour trip to the grocery store. Walking for an hour at that pace burns 177 calories if you weigh 130 pounds, 30 calories more than if that same person spent an hour grocery shopping. A 180-pound person burns 40 more calories walking at this pace for an hour than she would grocery shopping for 60 minutes. Increase your speed to 3 miles an hour and you increase your calorie burn to 195 if you weigh 130 pounds and 270 calories if you weigh 180 pounds. Walk at a brisk pace — 3.5 mph or faster — for an hour and you’ll burn significantly more calories than you would during a one-hour trip to the grocery store. An hour’s walk at 3.5 mph burns 224 calories if you weigh 130 pounds and 311 calories if you weigh 180 pounds. Up your speed to 4 mph and you’ll double the number of calories you burned on your shopping trip: 295 calories an hour for a 130-pound person and 409 calories for a 180-pound person. Christmas dinner: What would you eat? Christmas is a time for feasting, but how much is too much? It’s no wonder waistlines expand at Christmas if past years are anything to go by. In the 13th Century, the medieval occasion ran for 12 days, with lavish spreads every day. 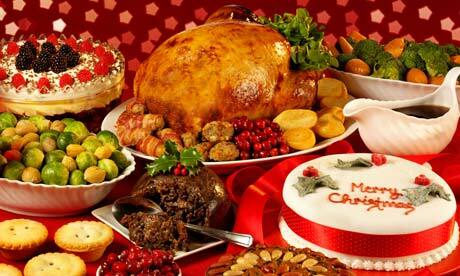 Christmas excess today means that the average person consumes 6,000 calories on Christmas day. This is equivalent to eating 4.8kg of egg-fried rice, or 42 bananas, or 23 and a half hamburgers. Or you could think of it as eating three 300g chicken korma curries, three 300g chicken tikka curries, three naan breads and 24 onion bhajis. That is also the same amount that a Tour de France cyclist needs to sustain a day’s racing, professional athletes consume to propel them through a day’s training, Royal Marines need to fuel their missions, and Arctic explorers demand to endure a day on the ice. For those of us less inclined to extreme endurance and more comfortable with staying indoors, there is little chance we will be burning 6,000 calories on Christmas day. But there are ways to do things a little bit more healthily. Christmas dinner itself easily fits in to the recommended calorific intake for a day, says Sian Porter, consultant dietician and spokesperson for the British Dietetic Association. In fact it contains 956 calories, and 48g fat, she says. The guideline daily calorie count is 2,500 for men and 2,000 for women. But it’s not just Christmas dinner that we indulge in. “Six thousand calories over the day includes smoked salmon and eggs for breakfast, buck’s fizz and wine and other drinks, liqueurs, also Christmas cake, mince pies, cheese and biscuits, cold nibbles, snacks, crisps, nuts and an open box of chocolates,” she says. “Some people can rebalance that quickly and easily,” she says. “But some people have already kicked off indulging in early December and go through until 2nd January, which can mean they gain around 5lb,” she says. This is by eating an average extra 500 calories per day. To burn off Christmas day’s calories alone you might need to do at least seven hours of hard exercise such as cycling. But keeping moderate exercise up before and after Christmas can help stop you putting on weight. It takes a lot of work to burn off 6,000 calories. So how to avoid an unhealthy binge? Do not skip meals and try to eat regularly to avoid overeating in one big meal, says the English Institute of Sport’s performance nutritionist Emma Gardner. It can lead to excessive hunger and poor choices, she says. “Ensure you have a good breakfast before going to Christmas dinners/buffets so you don’t arrive hungry – Christmas gatherings are filled with tempting treats, which you are likely to snack on if you arrive hungry. Sian Porter says adapting old favourites also works a treat. “If you flip the lid off a mince pie, which is 250 calories before adding cream or brandy butter, you can save calories there, or swap unhealthy snacks for satsumas, nuts, dates or other fruit,” she says. Emma says: “Whether at a buffet or a Christmas dinner base your meals around lean protein options and vegetables or salad. There are plenty of easy calorie-savers, such as not eating turkey skin or avoiding putting butter on vegetables. Eat vegetable crudites or popcorn, provided it’s without butter or sugar, for low-calorie alternatives to crisps. Chef Laura Santtini’s cooking style is flash cooking – a healthy, quick alternative where the emphasis is on “fit fast flavours for busy people”. Most importantly, “having a flavour arsenal” next to her cooker means she can make delicious dishes that are low on fat. Laura says she adheres to an 80:20 principle of eating, where 80% of her diet is healthy and 20% is more indulgent. She says Christmas is “a one-meal day, not a day for thinking about being healthy”. “If you do 80:20 then it flips and Christmas is an 80% naughty day. But on Boxing Day you have stopped grazing,” she explains. She suggests that you can boil or steam sprouts or bake them in the oven, or instead of doing roast potatoes, do Persian jewelled rice in a slow cooker. However for some there is no avoiding a big calorie counter of the day – booze. “Be aware of consuming too many empty calories, such as those in alcohol,” says Emma Gardner. Sian Porter says alcohol is “7kcal per gram versus 4kcal/g for protein or carbs and 9kcal/g for fat”. “Alcohol is calorie-dense and, when drunk in excess, reduces will power meaning you are more likely to succumb to eating tempting foods,” nutritionist Emma explains. It’s recommended to avoid sweet cocktails and creamy liqueurs. Or alternate alcohol with water, or drink small short spirits with diet fizzy drinks. But if you are planning on over-indulging during Christmas, do not despair. So one day of indulgence is OK? “It’s all about not making people feel guilty and taking it easy,” says Sian Porter. On Boxing Day you’ll be eating salad and getting on your bike then?